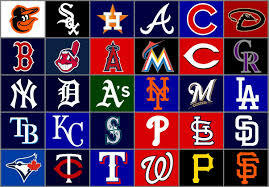 Based on the 25th annual Sports Fan Loyalty Index from Brand Keys, the New York-based brand engagement and customer loyalty research consultancy, and according to 17,852 fans, Major League Baseball was rated #1 in fan loyalty for the first time in a decade, beating out the National Football League, perennially Major League Sports’ loyalty leader. Fan loyalty ratings never lie. They’re a leading-indicator of behavior and profitability, and they always tell us what fans are going to do when it comes to increased TV game viewership and purchases of licensed merchandise. Are the game and the league part of fans’ and community rituals, institutions, and ‘tribal’ beliefs? Win-loss ratios for sure, but more importantly, how entertaining is their play? Is it a consistent experience year-to-year? How well they play as a team. Do they seem unified? Does it involve both skill and strategy? NFL ratings took a nosedive throughout its last season, which is troublesome because live events are supposed to be the last bastion of defense against the Internet. This is the second consecutive year the Super Bowl has failed to set a new ratings record. Pre-election NFL ratings were down by 12 percent Year-Over-Year and ratings for the 2016-17 season were down 9 percent YOY and were off 6 percent through the playoffs. The National Basketball Association, consistently ranked #3 in terms of fan loyalty, moved up to the #2 spot this year. Not-so-coincidently NBA’s viewership increased from last season on all four networks: ABC was up 9 percent, ESPN up 10 percent, TNT up 1% and NBA TV games were up 19%. The 2016 Stanley Cup Final was one of the lowest-rated NHL title games since the sport returned to NBC 11 years ago, and is again ranked #4.